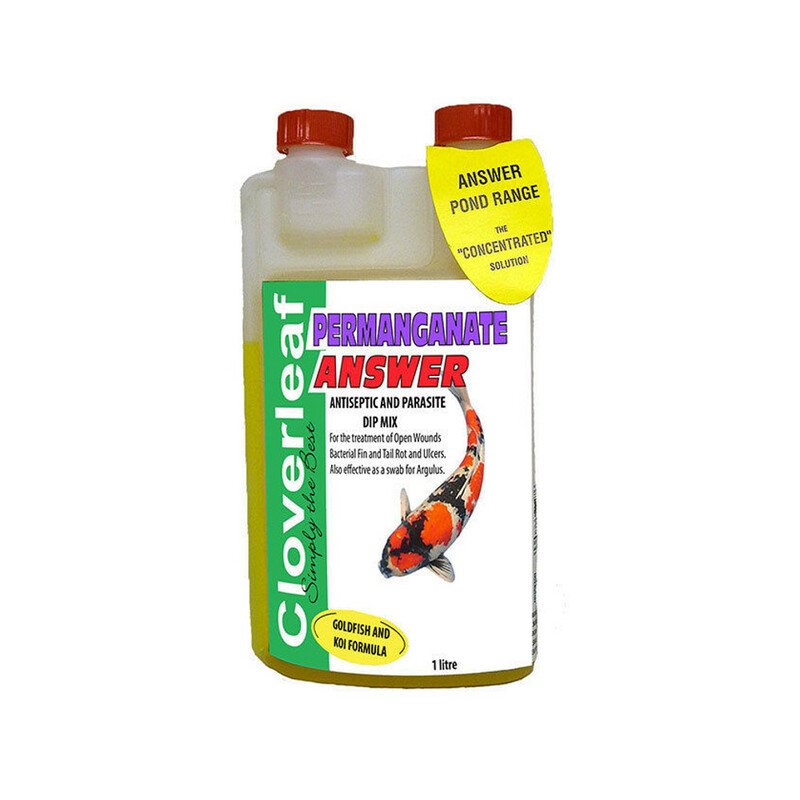 Cloverleaf Permanganate Answer is an effective antiseptic dip treatment for bacterial and parasite infections in pond fish. 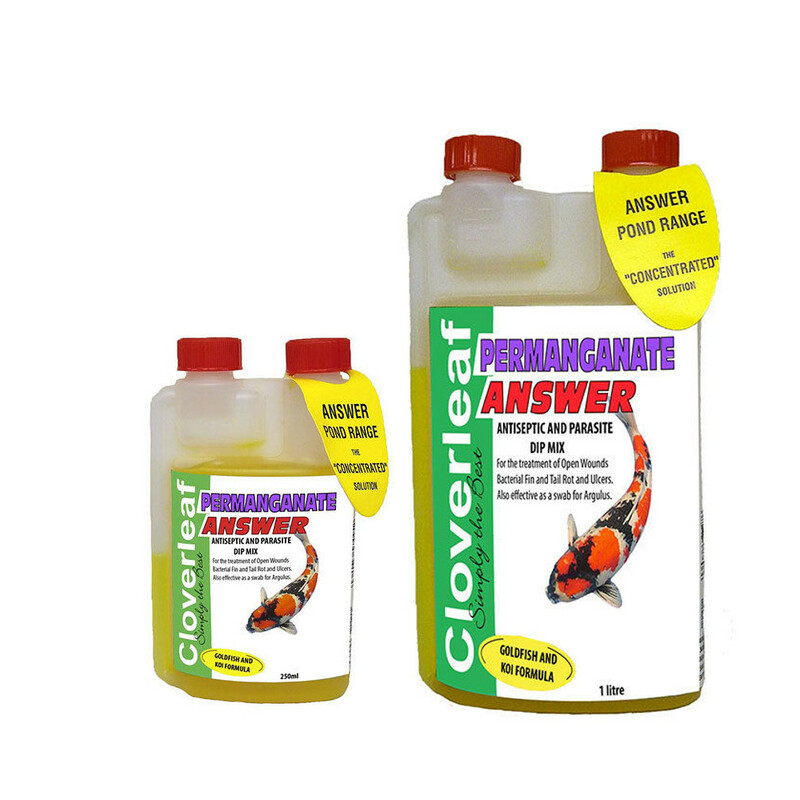 The Permanganate Answer treatment helps to combat a selection of Bacterial and Parasite based infections sometimes seen in some pond fish. The treatment is an antiseptic based dip that can be used to paint directly onto an effected area on a fish. It can also be used as a bath soak, to treat individual fish and can be used when introducing new fish to an established pond environment as a preventative measure. The treatment is also very effective when used as a swab against the parasite, Argulus. 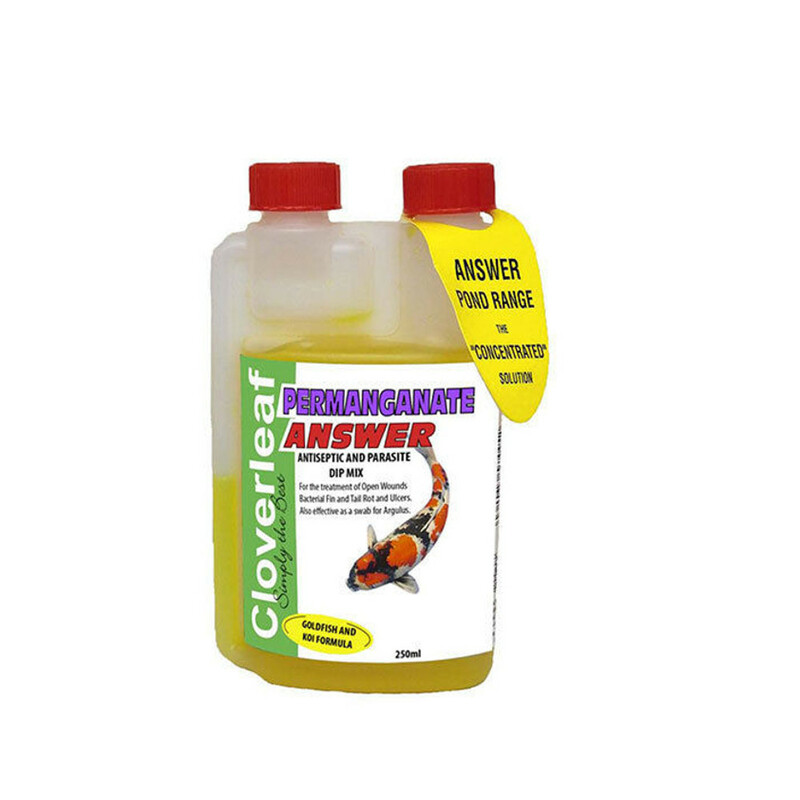 Permanganate Answer has a wide variety of uses. It can be used when damage like wounds and ulcers are present on fish. It is also beneficial against bacterial afflictions like Fin and Tail rot and Ulcers. As a swab it is very effective against the parasitic fish lice known as Argulus.